Modified bitumen roofing is an asphalt material reinforced with polypropylene or styrene and butadiene that can be heat-applied or cold-applied respectively to a flat roof surface. It offers several advantages over other flat roofing materials, such as ease of installation and repair, overall durability, and resistance to damage from various weather conditions. 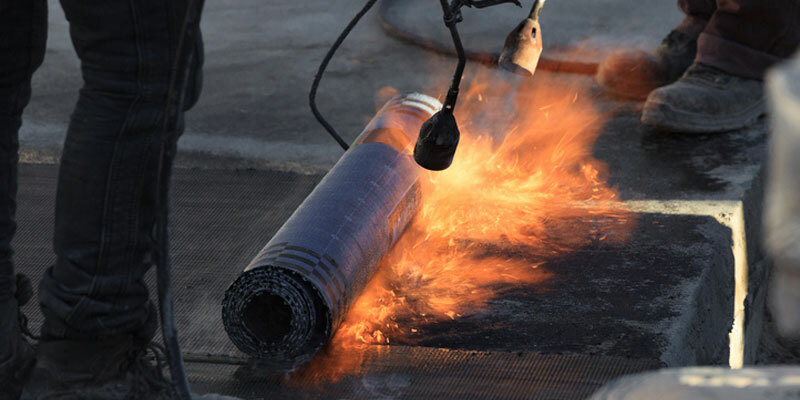 Unfortunately, despite such advantages, modified bitumen roofing is also similar to other types of roofing materials in at least one facet; it will require periodic repairs for leaks or other concerns and will eventually need to be replaced. 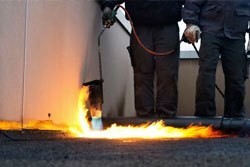 Furthermore, just like any other type of roof, waiting to take corrective action only after there is clear evidence of a leak, failure, or structural damage with modified bitumen roofing can result in extensive repair costs, a need for emergency roof repairs, and/or reduces the time to a full replacement. Why? Because roof damage often begins slowly, and may even going unnoticed in many cases; therefore, a significant amount of structural damage can occur before there is any proof or confirmation that a leak or other issue exists. And the impact of such situations can be very severe for the owners/managers of those properties as well as their tenants, patrons, and/or visitors. Consequently, the owners/managers of buildings with modified bitumen roofing would be well-advised to perform routine roof inspections to ensure that this material continues to provide the level of performance that is needed and expected; these inspections can also identify potential issues that should be addressed as soon as possible to avert unwanted or emergency roof repair bills and to extend the lifespan of the roof. Tears, Cracks, Punctures – outward damage due to weather, falling debris, etc. Some of these signs will be more easily detectable than the others to the untrained eye, but they can all be sources of roof leaks; therefore they are indicative that some type of action or repair is needed before the roofing structure, building envelope, and/or interior contents are subjected to further, and more expensive, damage or loss. And when such action or repair work is required, including emergency roof leak service, the property owners can confidently rely on the skills and expertise of Can-Sky Roofing. Though regular roof inspections can be performed by the property owner or maintenance staff, the use of a professional roofing contractor such as Can-Sky Roofing might be the better course of action. The use of their services will eliminate the risk of injury for any inexperience or untrained individuals, particularly if they are rather uncomfortable when working at heights, while also providing the means for a specialist to evaluate the entire roof system, whether modified bitumen or other type of roofing material, for concerns or issues that may or may not be immediately apparent. Can-Sky Roofing offers a comprehensive preventative roof maintenance program that is designed to assess the condition of an existing roof on a semi-annual basis; if any roof repairs are required, Can-Sky Roofing can quickly and efficiently complete the work upon approval by the property owner or designate. To learn more about the preventative roof maintenance program available from Can-Sky Roofing for commercial and industrial property owners in Toronto and surrounding area, please visit our preventative roof maintenance page. Can-Sky Roofing has more than 15 years of commercial flat roof repair and replacement experience with all materials and membranes including modified bitumen roofing. For skilled commercial roofing services including leak repairs, replacements, inspections, and preventative maintenance, call the professionals at Can-Sky Roofing at 647-691-0487 today or contact us to request your no-obligation estimate.